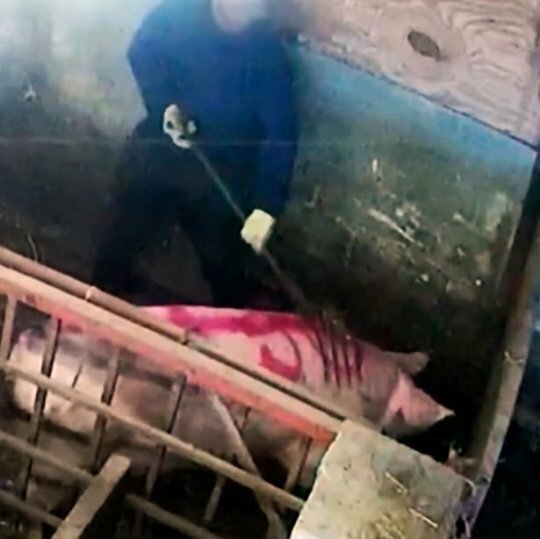 MetroUK is reporting that some farm workers have admitted animal abuse after they were filmed repeatedly kicking pigs in the face and head before stabbing them with pitchforks. Troy Wagstaff, 30, and Artis Grogprkevs, 31, were caught out after vegan activists set up hidden cameras at Fir Tree Farm in Goxhill, Lincolnshire, in April. The farm, which is part of the Elsham Linc group, has a herd of around 10,000 pigs and the group is one of the country’s largest pig producers. Warning: Video contains scenes of animal abuse that some may find upsetting. Grogprkevs, of Goxhill, admitted abusing the pigs between April 10 and April 27, by causing unnecessary suffering by inflicting blunt force trauma, physical violence and using a pitchfork inappropriately. Wagstaff, of Grimsby, pleaded guilty to abusing the animals between April 2 and April 27 by causing blunt force trauma and physical violence but denied a second charge of abusing the animals by spraying paint up its nose. Sentencing has been adjourned so a third defendant, 39-year-old Gavin Hardy, can appear at Grimsby Magistrates Court, after he did not attend. 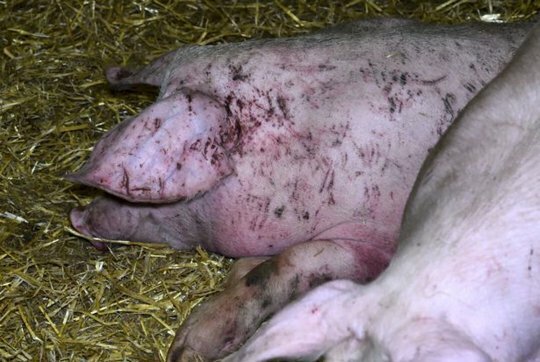 The case was brought to court by the RSPCA following an undercover investigation by animal rights group Animal Equality, which placed hidden cameras inside the farm and uncovered horrific footage of abuse. The article was published first on MetroUK. Read more…. Previous An Experienced Butcher Admits: “When We See Cancer In The Pork, We Just Cut It And Still Sell It To Customers”.